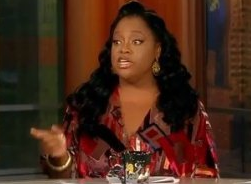 “The View” co-host Sherri Shepherd had some rather blunt tips for her new Twitter followers Sunday morning. Shepherd tweeted concern for her new followers who publicly sent her their phone numbers. “Tip for New Tweeters…do NOT tweet me your phone number. The likelihood of me calling – nill. The likelihood of a crazy perv calling- 100%,” Shepherd wrote. Shepherd, who maintains a strong presence in Twitter-verse, has sent and received somewhat heated tweets in the past. She got into a Twitter feud with followers in June 2009 after she was criticized for not following those who were following her.